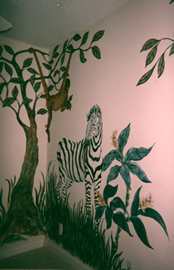 Children’s and recreation rooms are wonderful places to let the imagination soar. 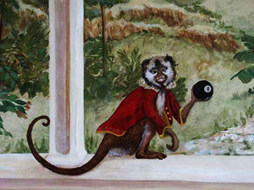 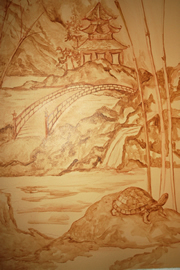 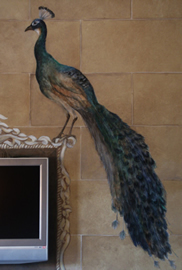 “Monkey in Red Coat” and “Peacock” grace the walls of a billiards room. 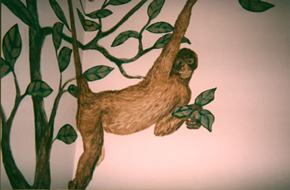 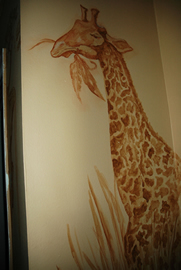 Other paintings took on a jungle theme as seen in “Monkey Swing” and “Zebra”. 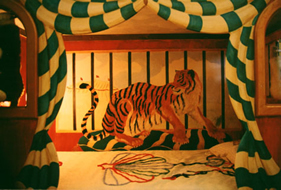 “Tiger” is the centerpiece for a circus themed bedroom. 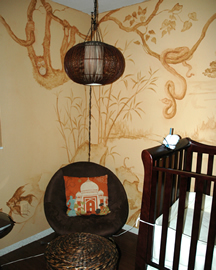 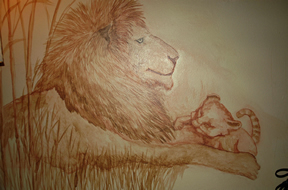 In “Tajai’s Mural” the soft monochromatic style created a quiet ambiance for a nursery.